I’d like to give a mention to Maped Helix who sent over a few of their products to help with the back to school preparation. Every child starting or already in high school will require their own basic stationery bundle. Maped helix stationery products and accessories are sold in most stores and supermarkets. 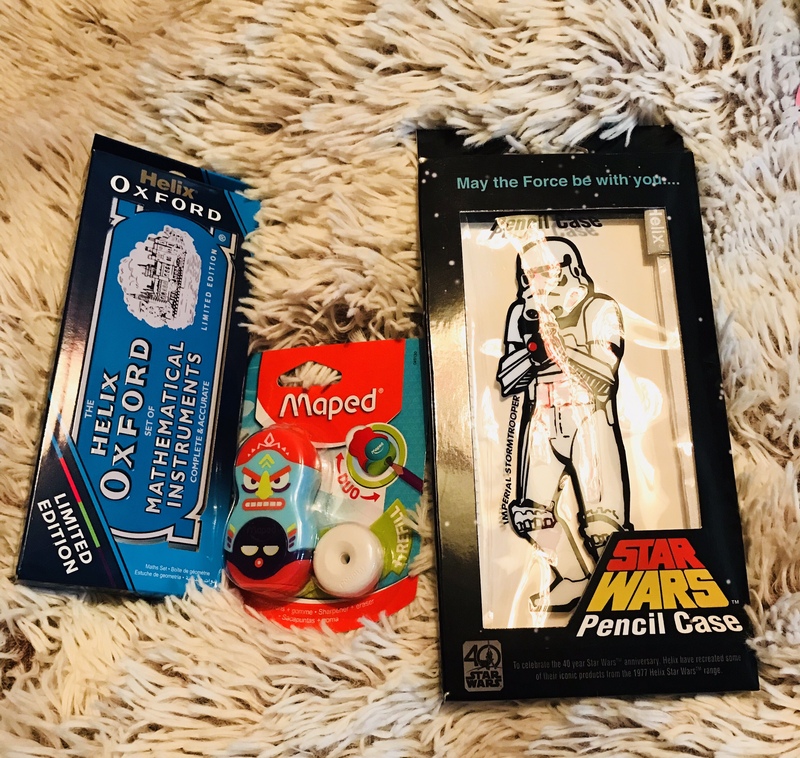 We were sent a clear Star Wars pencil case which my son has already put his bits and pieces inside. 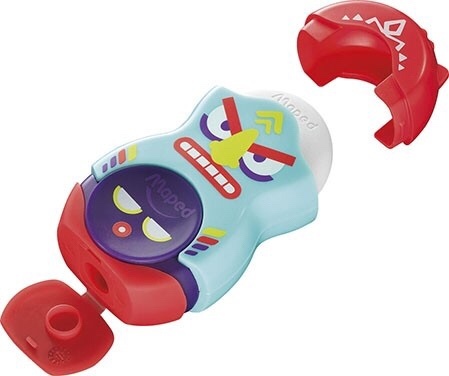 A Loopy 2 in 1 combi eraser and pencil sharpener. These come in many other colours. 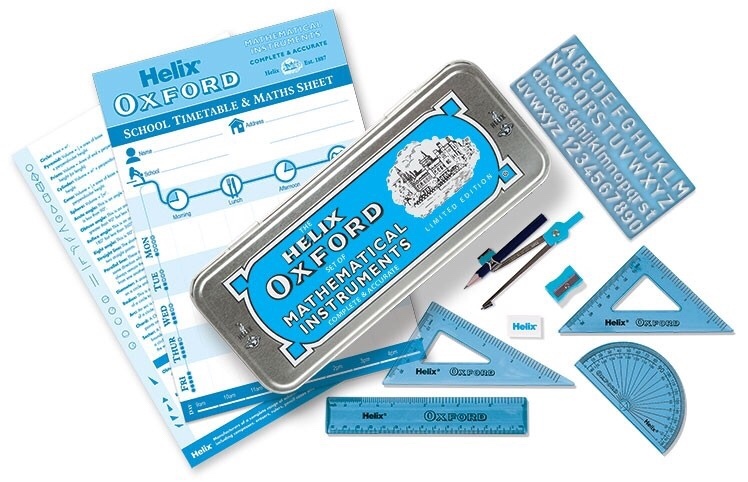 Finally the Helix Oxford maths set. Which is a tin containing approximately 10 items. Included is a ruler, geometry set, stencil, eraser, pencil, compass and time table & maths sheets. It’s quite useful and saves the need to go out and buy the items individually. My son will certainly be making much use of his new stationery when he starts school again.